This is the proceedings of the Third Workshop on Computing: Theory and Practice, WCTP 2013 devoted to theoretical and practical approaches to computation. This workshop was organized by four top universities in Japan and the Philippines: Tokyo Institute of Technology, Osaka University, University of the Philippines - Diliman, and De La Salle University. 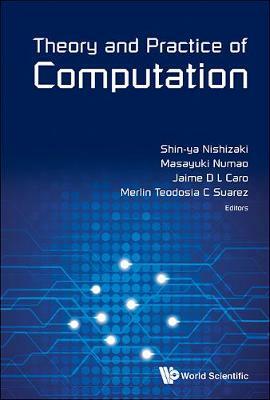 The proceedings provides a comprehensive view of the current development of fundamental research in formal method, programming language and programming development environment, bioinformatics, empathic and intelligent systems, and computing gaming in Japan and the Philippines.